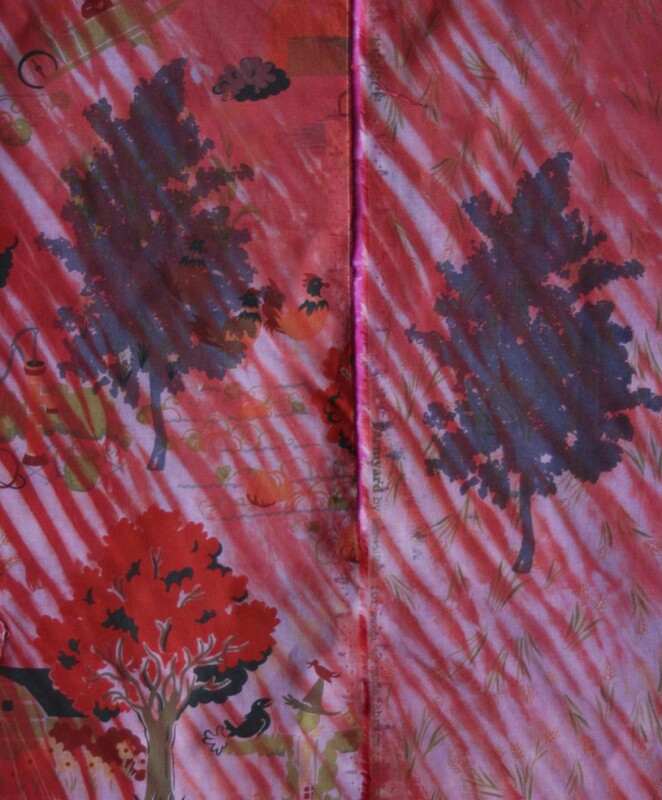 I used some the rmofax screens that Bobbie Vance made for me from my photos of trees to add some further dimension to the farm fabrics for the challenge by an Indy fabric shop. 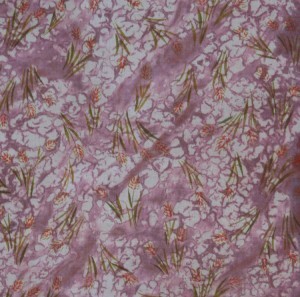 can see the original fabric in an older post. 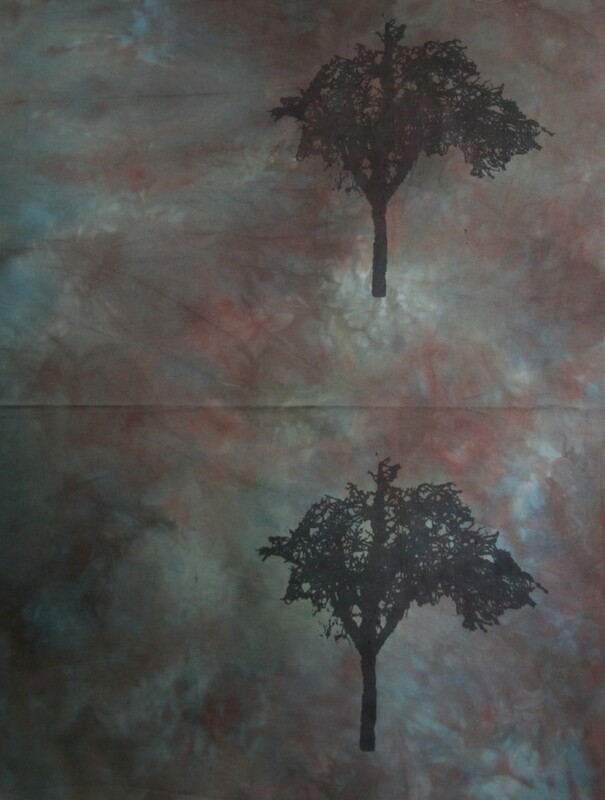 I liked the added interest of trees that are different than what is in the fabric and that it is transparent so that I can still see the shibori through them. I used some oatmeal as a resist on some of the fabric and really liked what it did, but did not enjoy the mess! I was thinking if I get a really good one and take a picture or scan it I can make a thermofax of the texture and save myself some headache! I am almost done with the quilt for the challenge and can’t wait to show you how it turns out. I’m pretty happy with it. 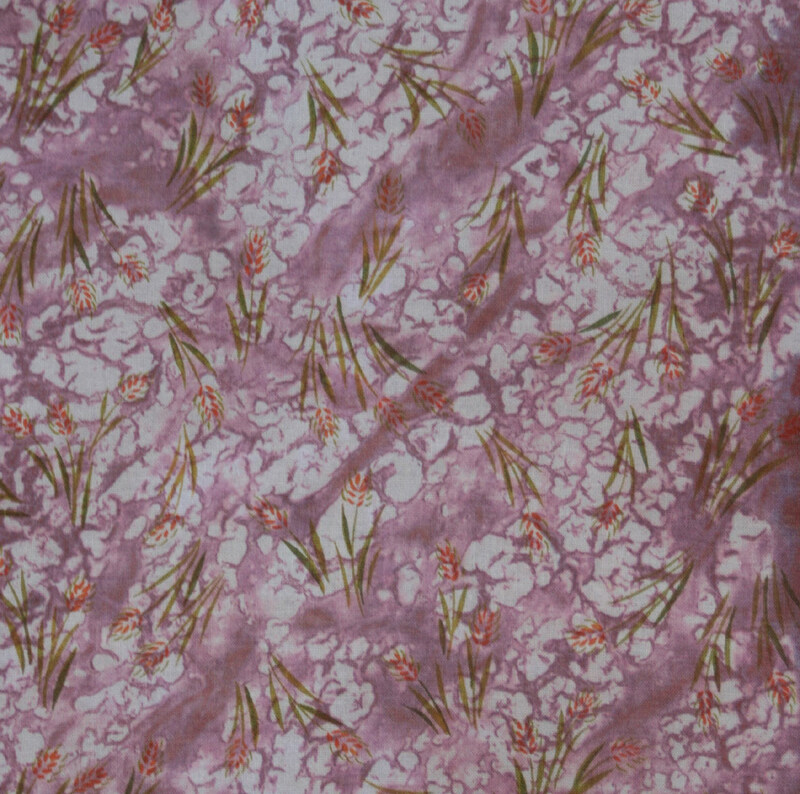 This one didn’t make it into the quilt, nor is it the challenge fabric, but I made it as a possibility of use in the quilt and love the graphic nature of the tree print, the dye complexity, and the photo holds special memories for me. The tree was in a field we went through to get to a very old church in the little town I lived in in Italy. My sister, her husband and I went for a walk in our little town, saw a sign pointing us down a walking path between some houses and out into a field. In the middle of the field was an old church that is no longer used except for once a year for the towns festival of the patron saint. That was only one of the wonderful treasures we found that day.